According to stain manufacturer Behr Corporation, you should avoid staining a deck for at least 24 to 48 hours after the deck gets wet. Otherwise, moisture in the wood will prevent the stain from adhering correctly to the deck. That lack of adhesion will result in a thinner final coat that will be likely to wash off after a few good rainstorms. 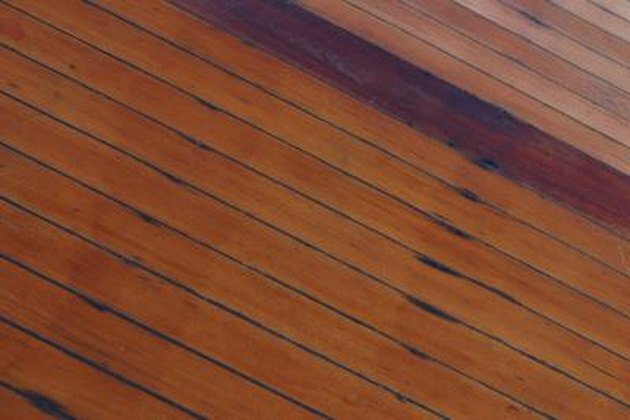 Wet wood can impact the look of your newly stained deck. Weather can easily damage untreated wood decks. While staining a deck that is still wet isn't the ideal solution, you might not have a choice. Due to scheduling conflicts or upcoming bad weather, you can decide to stain the wet wood anyway and hope for the best. 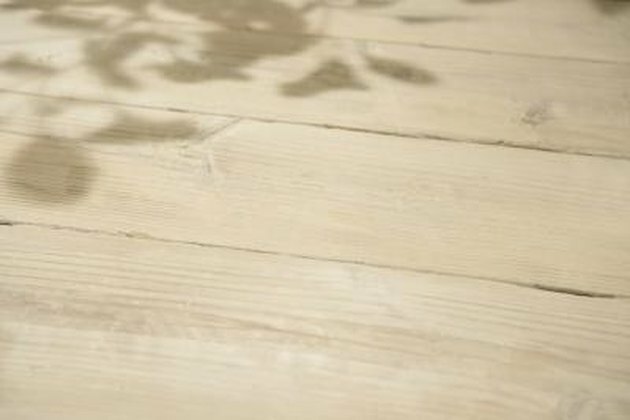 While it might not look as professionally finished as it would if you applied the stain to dry wood, the stain will still offer a reduced amount of protection to the unfinished wood. Sitting on your deck isn’t likely to be relaxing if all you can see are the mistakes you made when you applied the stain. Given the amount of time you're likely to spend looking at that stained deck, it's better to be patient and wait for the wood to dry. Sitting on your deck isn't likely to be relaxing if all you can see are the mistakes you made when you applied the stain. Stephanie Ellis has been a journalist since 1987. She began her career working at a small-town newspaper, but in the years since she has been published in outlets from "The Chicago Tribune" to CNN.com. She holds a Bachelor of Arts in communications from the University of California, Los Angeles.